Wayne Crabtree is the CI Advisor of the Chevron Project Management System (CPMS) for Chevron PRC. He is responsible for CPMS Knowledge Management; CPMS Continuous Learning System; and the development and application of continuous improvement methodologies on Major Capital Projects. 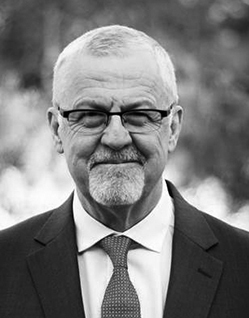 He has over 30 years of experience in project management and organizational development within the industrial and manufacturing business sector. For the first half of his career Wayne owned and operated businesses that specialized in civil/structural construction and environmental remediation. During this time he was engaged in the successive waves of Total Quality Management, Value Engineering, Continuous Improvement, ISO 9001, Team Empowerment, and Lean Sigma. These methodologies were applied to his own businesses and helped shape his own understanding of how they may be applied within wider corporate settings. Wayne is currently focused on the integration of the theory and principles of Project Production Management into the Chevron Project Delivery Model. This effort is in support of Chevron’s increased interest to be more in control of the design and execution of work on their Major Capital Projects. Wayne is a Chevron Certified Lean Sigma Black Belt and maintains a Project Management Professional (PMP) certification through the Project Management Institute and has a Master’s degree in Business Administration with an emphasis in Six Sigma.